Out of all the mammals that roam planet Earth, camels are perhaps one of the most distinctive and unusual of them all. They are instantly recognizable thanks to the unique humps on their backs, which makes them stand out next to their close relatives such as llamas and alpacas. 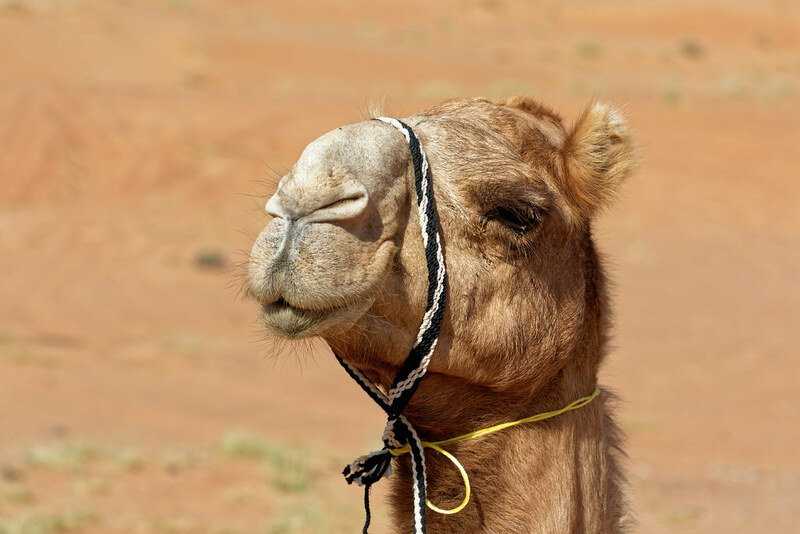 There are plenty of interesting things about camels that you probably didn't know. Lots of their amazing characteristics and abilities come from the fact they live in arid conditions such as deserts. There are plenty of dangers, such as the scorching heat and lack of water, which makes it difficult for any life to survive. Yet, camels have evolved to thrive in these areas in spite of the risks. These physical variations mean there are some truly crazy facts and misconceptions about camels. All camels have either one or two humps depending on the species. However, the big misconception about the humps is that they contain water. The truth is they don’t hold any water whatsoever; instead, they are a store of fat. This proves useful for periods in the arid conditions where they live when they might not be able to get access to food, allowing them to burn the fat to release vital energy. The size of the hump will fluctuate according to how well fed the camel is; those who have not had enough nutrients will see their humps get smaller and eventually droop over. Because of the general lack of water in the desert, camels' internal organs have some unique specializations. Their kidneys, for example, are some of the most efficient on the planet. This is necessary not only to conserve water as much as possible when expelling waste but also in allowing the animals to drink salty water. The end product the kidneys produce is a thick liquid more like syrup than traditional urine, with a salt concentration that is higher than saltwater. Camels have evolved many specializations to live in the hot desert - and it's more than just the physical attributes you can see. Even their blood cells are vastly different from most mammals', being oval in shape rather than circular. This distinctive shape means that even when the blood is incredibly thick due to a lack of water, oxygen can still be carried around the body. They don’t just provide a benefit when the camel is dehydrated, either. In fact, the red blood cells in the animal can expand to 270% of their original volume, almost twice as much as other mammals, when they drink water. An important factor in preventing the cells from bursting, considering that a thirsty camel is capable of drinking up to 100 liters of water in just 10 minutes. While the hump of a camel proves useful for storing fat in case of emergencies, it also proves to be a very effective way of staying cool in the hot desert. Regulating their temperature is incredibly important, and bodily functions like sweating are not useful in arid conditions because it wastes valuable water. Instead, their bodies are not covered in a layer of fat in the form of their humps. This means they are less likely to overheat as they do not have insulation. Having a lump of fat on the back also provides some extra protection from the sun as it is where the vast majority of the ultraviolet rays hit the animal.